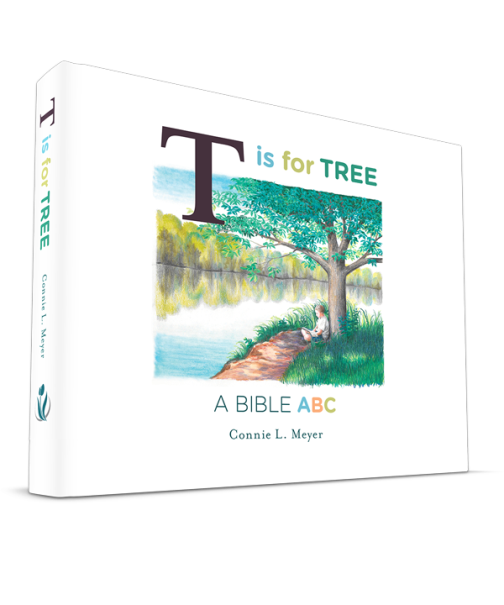 Reformed Free Publishing Association that encourages a relationship with the English alphabet that also points to God's Word all along the way. 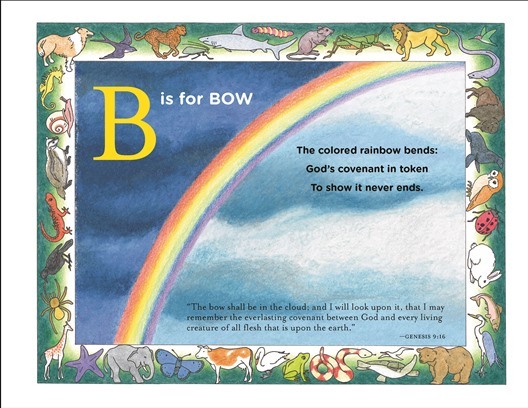 As the title suggests, this is an ABC book where every page is devoted to a letter of the alphabet. 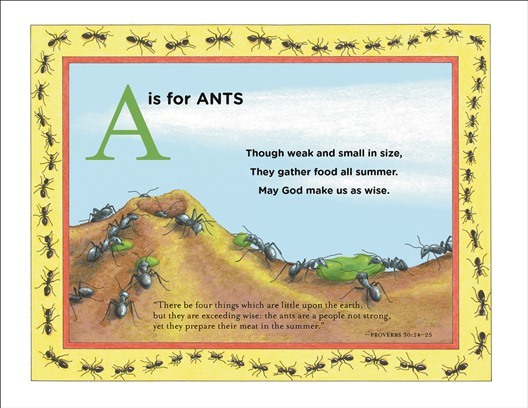 Each letter and its chosen word is then illustrated on the page somehow and depicted in rhyme that is connected to a Bible verse quoted at the bottom of the page. 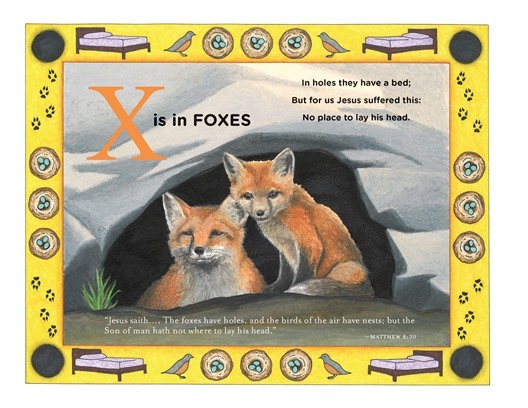 In addition to the main illustration, all the pages include a thick frame decorated with some element mentioned in the scripture. This is a sturdy, hard-bound book that provides many opportunities for learning and further discussion. 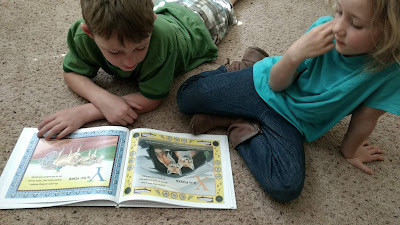 At church and in our own reading at home we rarely use the King James Version so it didn't take very long for the kids to give me a funny look when words like whereunto and wilt were used. I bring it up not as a criticism though. While KJV hasn't always brought about ease of understanding, in this context it actually broadens things for the reader. Many of the verses are familiar enough that they recognize them, but also highlights new or different words. My 7 year old would try his hand at inferring what the word meant and the 4 year old simply expands her vocabulary. 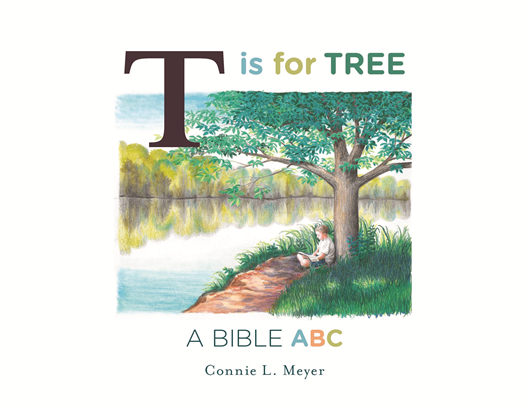 So not only are we reinforcing alphabet knowledge and vocabulary, we're given the opportunity to discuss illustrations in the Bible. 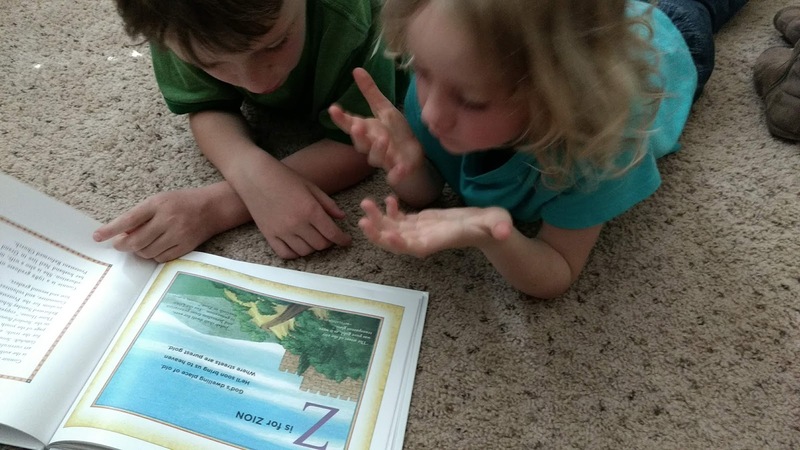 It is a safe and easy environment to learn a little more. The variety of words used is a nice mix of the familiar with the unique. Things like nest and king weren't a surprise, but things like faith and zion definitely set this book apart. The author Connie L. Meyer also did the illustrations that are all worth noting. The pictures are beautiful with bright colors and detailed drawings that are also simple and attainable. Drawing is something we try to include in our children's curriculum pretty often (Mr. Butler is quite the artist himself) and this book could be used to draw from or imitate in drawing practice. This book would make a great gift with plenty of room on the inside to write an inscription and sturdy enough to last a while. Check out other books from the author and Reformed Free Publishing Association by keeping up with them on social media.